Men are not interested in the clothing of celebrities. At the most, the endorsement of a film star, a magazine or a fashion brand is an endorsement, a shortcut. A man’s number one priority is not looking stupid, and popular culture is a safety blanket. In my experience, knowledge is what really engages a man. Tell him why his suit is better made than his friend’s. Tell him why dry cleaning is shortening the life of his shirts. Tell him why this particular leather jacket will look much better the worse it is treated (all it needs is some wax once a year). But information can be hard to come by, or is covered in an off-putting sheen of fashion and femininity. In this series ‘How to buy quality…’ therefore, we will dissect different items of menswear, taking a small step towards correcting these problems. The easiest way to identify a well-made suit is the canvas (pictured below). This is the lining that runs down the front of the jacket and gives it structure. It’s why the front feels different to the back. 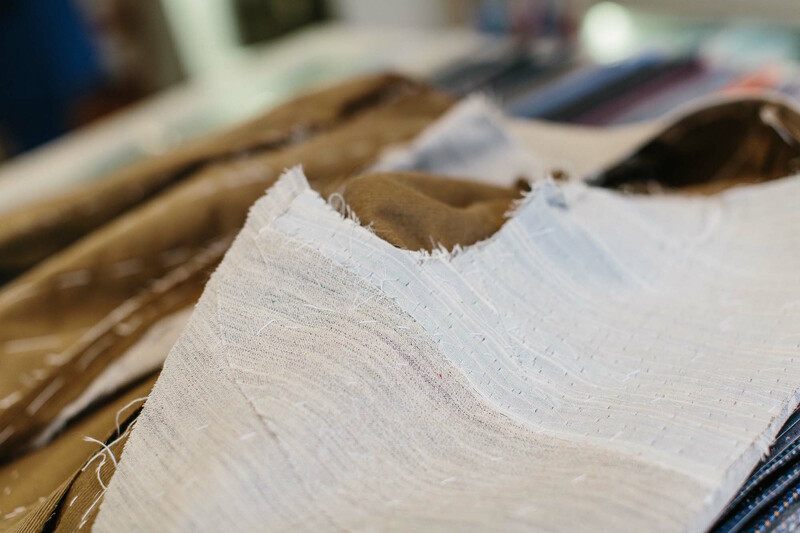 The canvas can be sewn in, so it can move with you and your movements, or glued. Glue is cheaper and easier, but means the jacket will remain stiff and impersonal. Canvas adopts the shape of your body. It gives a natural roll to the front of the jacket and its lapels. 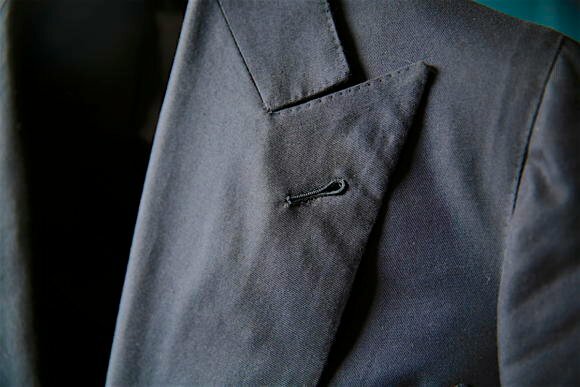 You can always spot a glued or fused jacket because the lapels are flat and lifeless – over time the points will stand away from the jacket, such is their artificial stiffness. Cheap, high-street suits are fused. Any good suit will have floating canvas in at least the top half of the jacket – from Austin Reed to Gieves & Hawkes to Canali. It is the minimum standard you should expect. You can feel the canvas if you separate the cloth of the jacket – around the waist button is often easiest – by pinching the inside and the outside material and feeling for an extra, loose layer between the two. 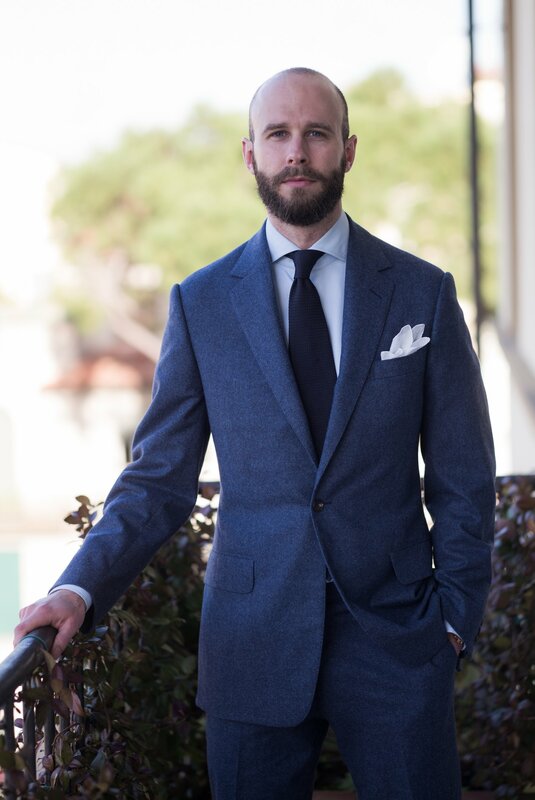 Some suits have canvas all the way down the jacket, which creates greater structure but also weight, and is therefore not often preferred by Italian brands. Not surprisingly, the ready-made suits offered by Savile Row tailors such as Richard Anderson and Huntsman are fully canvassed. The other easy sign of a quality ready-made suit is hand stitching, which is most needed on the parts of the jacket that have to be flexible, such as the collar and armhole. Canali and Ralph Lauren use handwork, for example. It’s easy to spot this: just turn up the collar and look at the stitches that attach it to the back of the jacket. If they are at all irregular, it is hand sewn. However, be careful of extraneous details that mimic hand stitching. Not only does that kind of fakery undermine a suit’s style, but it gives you a pretty good idea of the company’s manufacturing priorities. My other tips are fairly intuitive. I recommend avoiding an extremely lightweight cloth: it won’t last that long. The same goes for a shiny cloth: it looks cheap and will only look cheaper. And if you’re going to wear the suit regularly, invest in two pairs of trousers. It seems expensive until you realise the alternative is a second suit. You can follow the discussion on How to buy a quality suit by entering your email address in the box below. You will then receive an email every time a new comment is added. These will also contain a link to a page where you can stop the alerts, and remove all of your related data from the site. Top of the morning to you. My name is Benjamin Foley and I recently started working for a “modern bespoke” company by the name of Knot Standard. Prior to my beginning here, I worked in finance. 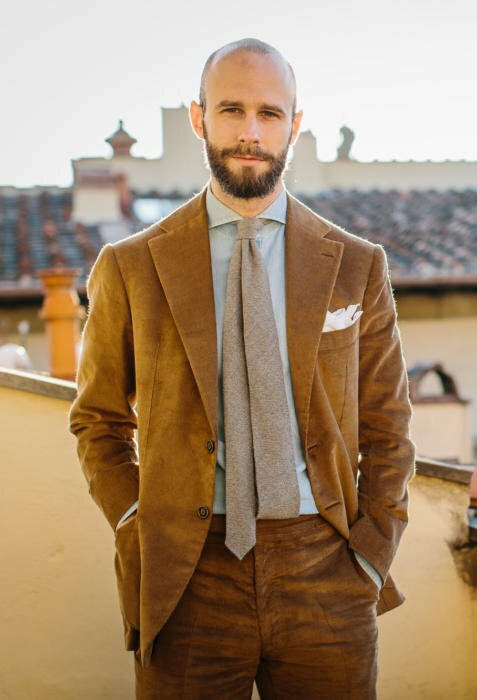 I am sure you are extremely busy, but I have been voraciously reading your blog for tips and advice on how to understand the world of bespoke menswear. Therefore, I wanted to reach out to see if you would be so kind as to give some advice on how to accelerate my learning of the industry (mills, textiles, measurement/fit, etc.). I understand you are very busy and probably get a lot of emails like this, so I understand if you are unable to reply, but I have listed a couple questions below that would be extremely helpful. Are there any designers/tailors that were able to become masters of their craft later in life or at a faster pace than most? Thank you so much for all of the work you do and I look forward to hearing from you. Where is the best place to place the ubiquitous mobile phone inside a suit jacket? I am about to have my third suit made by a Savile Row tailor. I asked for a mobile phone pocket in the first two, my cutter even took a tracing of my phone to have the right dimension, but when the suits arrived — no phone pocket. I would like to get this right the third time. The jacket will be DB, and I wonder if it is better to have the somewhat heavy phone place high on the chest, midship, low, or whatever. In the chest is usually the best place – it has the most support. Ideally high up so it doesn’t run into the waist of the jacket, and with the pocket a little shallower and narrower than normal, so the phone is reachable and doesn’t fall over sideways. 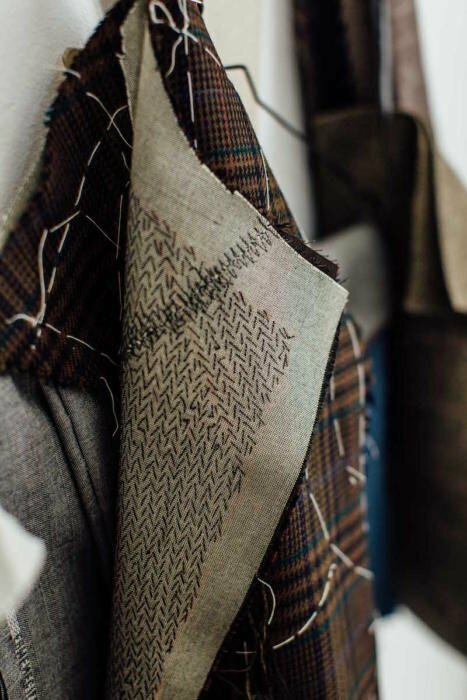 I love bespoke garments and the process surrounding it and have had three suits made as well as a few made-to-measure items. Obviously a few friends noticed this and were keen to have a bespoke suit made as well. The two friends who went to Savile Row tailors came back extremely dissapointed. One of them is unhappy with the shape of the suit, the other one complained that the fit is too constricting . I know…obviously it is up to them to raise the issues with the tailor and and to explain on what they expect from a suit. Still, I sympathise with them as this mirrors my first experience as well. 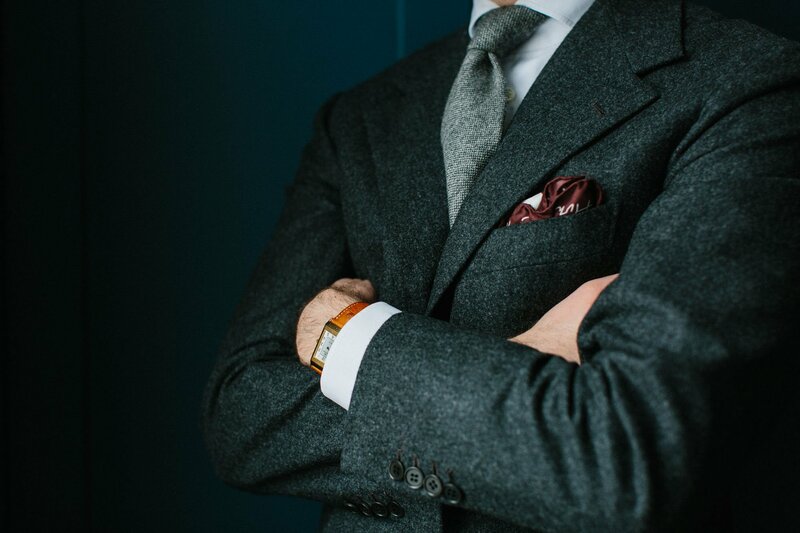 I agree with your article above, that the quality of bespoke suits can be outstanding. However, I’d argue, that it ultimately comes down to fit and style. One cannot expect from new customers to be an expert in all the details of such house-styles, shoulder structures, drape, etc. I would expect the sales-person in the store to be able to identify the client’s Level of knowledge and to be able to properly guide the client and to point out what to expect from the finale product. I don’t feel the staff is properly trained to do so, which is a massive let-down for people who weren’t prepared to spend weeks on reading books/blogs, etc. Hence, my question: Have you ever considered the idea of offering some sort of bespoke consultancy service? Basically to individually guide potential clients through the various house-styles, pros/cons depending on body shape, differences in terms of quality, etc. Basically everything PS offers but more tailored towards the individual? Maybe an idea for your next pop-store? I agree, this is one of the biggest issues for bespoke tailors today. They aren’t set up to communicate to a first-time shopper what the final suit will look like (more examples of suits to try one needed there) and just don’t make it a comfortable enough environment that those customers can bring up their issues or thoughts. But to your question, yes this is actually something I already do. I don’t talk about it much, but it’s mentioned on my personal site, simoncrompton.co.uk. I’ve worked with half a dozen people in the past year to help them through this, and it does prove to be very helpful. If you think any friends would find it helpful too, do tell them to get in touch.